Are you a hungry and broke commuter student? If so, then you’re in luck—this semester, an NDMU 100 class is starting a food pantry for commuter students who can’t always afford to have a meal. With the closing of Gator Alley, the limited dining hall hours and the lack of conveniently priced food items on campus, it might be difficult for commuter students to grab a meal on the go. As a commuter student, Arafat understands this issue. There are commuter students who don’t have enough money to buy lunch at school or from the bookstore. They end up having to skip meals. “Although I have never been food insecure, people have asked around. And we have discovered how big of a problem that is,” she comments. So how exactly does the food pantry work? Elizabeth Grasso, a freshman majoring in psychology, explains the logistics—there will be boxes with packs of ramen available to commuter students who need them. However, Arafat is surprised about the numerous steps they have to take. “I thought we could just get a big box of ramen and just put it somewhere and people can take it as they need,” she explains. “It turns out that we need permission from a bunch of people, and there are a lot of regulations.” For example, the class needs to figure out how to get donations in order to provide the ramen for the pantry. The NDMU 100 class is still working on the location, but some ideas include the commuter lounge and Gator Alley. “If it’s in the commuter lounge, you can prepare it with the Keurig. If it’s in Gator Alley, you can use the microwave,” Grasso says. “Just bring your own bowl.” The food pantry is also strictly for commuters and is used under the honor code. “Take what you need, but not out of greed,” Grasso clarifies. If you’re a commuter, then watch out for an upcoming announcement about the food pantry. If you would like to help out with the project, don’t hesitate to contact Crissa Holder Smith at CHolderSmith@nmd.edu. 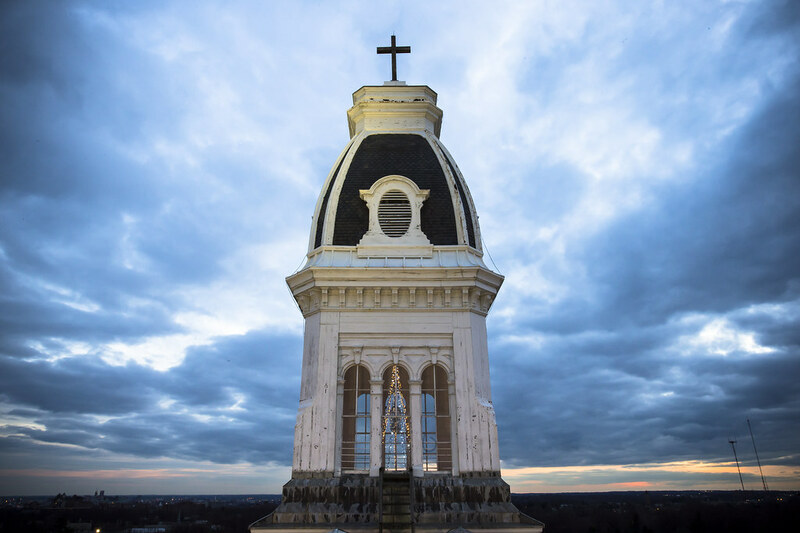 Columns is Notre Dame of Maryland University's student-run newspaper, based in Baltimore, MD.